There are so many occasions coming up this fall and winter including Halloween, the holidays and New Year's Eve. Need peace of mind naturally at your next spirited celebration? Try Intox-Detox prior to the party. Intox-Detox dietary supplement helps your body recover naturally. 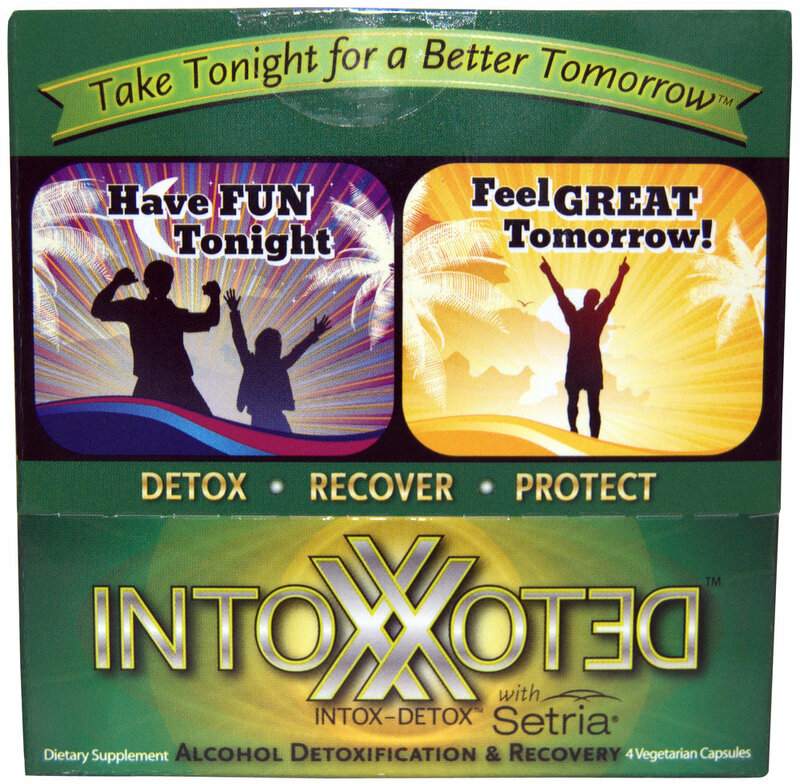 Intox-Detox is all-natural, safe and formulated to be taken BEFORE you drink alcoholic beverages to help the body detox, recover and protect from the damaging after effects of alcohol consumption. With a combination of Traditional Chinese Medicine and the latest ground-breaking dietary supplementation science. Intox-Detox is the only Alcohol Detoxification and Recovery Formula to contain the patented and clinically proven ingredient Setria L-Glutahione and Japanese Raisin; the only two substances proven by human clinical trials to neutralize the cause of the painful after-effects of drinking. Your mileage with Intox-Detox my vary. My team and I have used Intox-Detox on several occasions. I have found it works best taken while drinking. Others on the team have found it works best when taken before drinking. Either way, It's been amazing to be hangover free during football season. I mean who really wants to go to work feeling crappy after your Sunday Funday. Bonus tip – I've found body brushing in the morning a great way to feel amazing as well after one too many! Have do you stay hangover free? Leave your comments below!